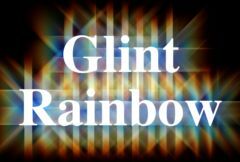 Generates star shaped rainbow colored glints at locations where the Source clip is brighter than the threshold, and combines the glints with the Source image. Glints are best observed on dark images with a few bright spots. Source: The input clip that determines the glint locations and colors. This clip is also used as the background and the glints are layered back onto it. Scale Source: Default: 1, Range: 0 or greater, Shared . Scales the brightness of the Source input when combined with the glints. This does not affect the generation of the glints themselves.